Known as "the International Stevies," the IBAs are open to all organizations worldwide: large and small, public and private, for-profit and non profit. Nominations may be submitted by organizations or individuals. The 2018 competition attracted more than 3,900 nominations from organizations of all types in 74 nations. 2019 entries are now being accepted. Get your entry kit for the 2019 IBAs! I give consent to gather and process my data provided in the form above, and to the storing of the IP address of my internet service provider. Further instructions have been sent to the email address you provided. Please follow the instructions in the email to proceed with the removal of your personal information. Sorry, no records found for this email address. 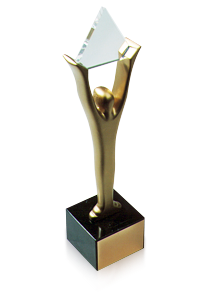 Please contact with help@stevieawards.com. Your personal information provided by you via forms on our site(s) will be deleted. If you are absolutely sure you want to do this, click Remove Personal Data. If you have an entry-submission account or a judging account on one of our websites and would like to to deactivate that account also, you will have to login to the corresponding website and delete the account. Reminders are sent 6 days prior to every program deadline unless you edit your preferences.